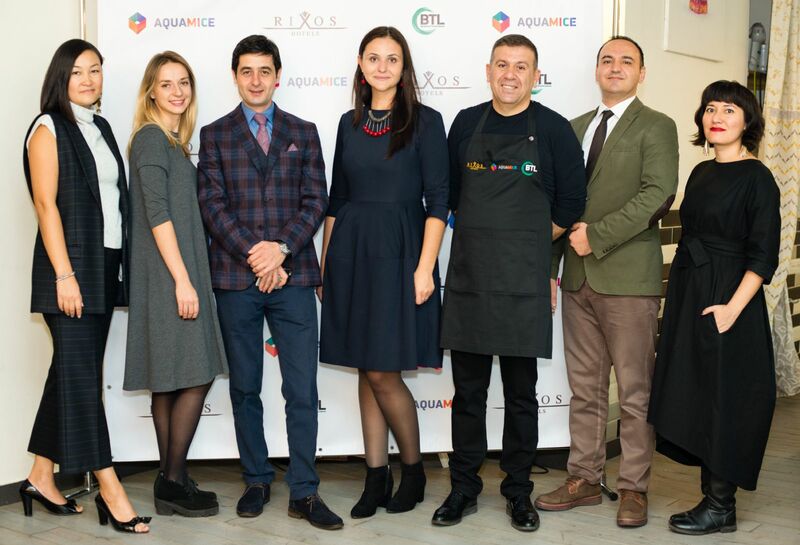 A culinary master-class sponsored by "AquaMICE" DMC,"Rixos Hotels" and Ukrainian MICE agency "BTL" for leading corporate companies of different segments, was organized in the gastronomic studio "Kartata Potata" on October 27, 2016 in Kiev. Around 50 corporate clients attended a culinary event. The special guests of the event were Rixos Hotels Diamond Cheif Mr. Recep Yuksel and Ukrainian famous TV show-woman Mrs. Daria Malakhova.